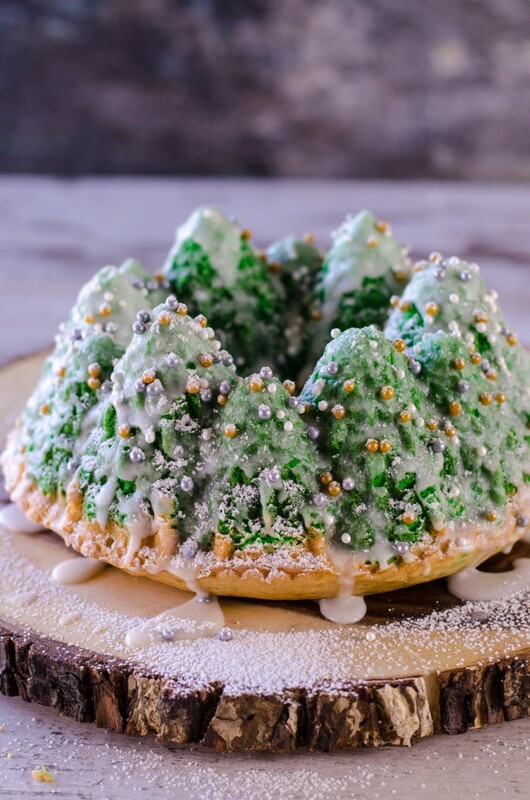 This Snowy Christmas Tree Cake recipe will shock you with how easy it is to make! Everyone will love this cake when you bring it for the holidays! Boy do I have the cutest Christmas cake EVER for you. Even better? 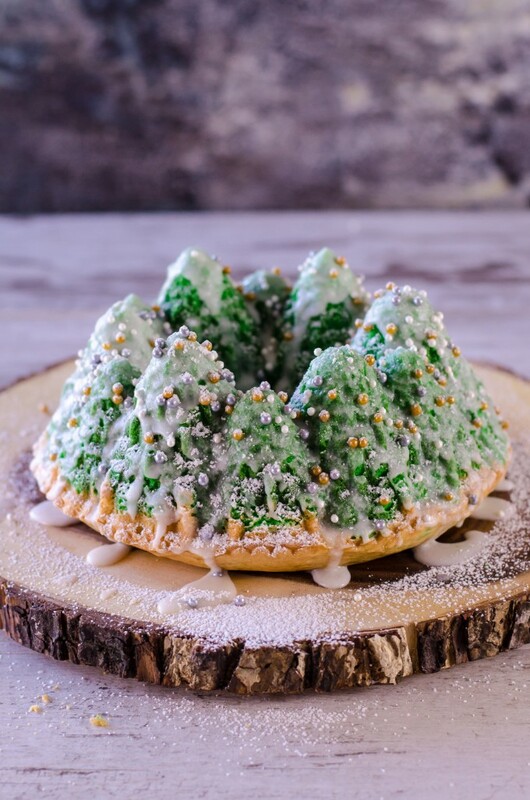 This beautiful Snowy Christmas Tree Cake requires virtually no baking finesse whatsoever, because (drumroll please!) it uses boxed cake mix! 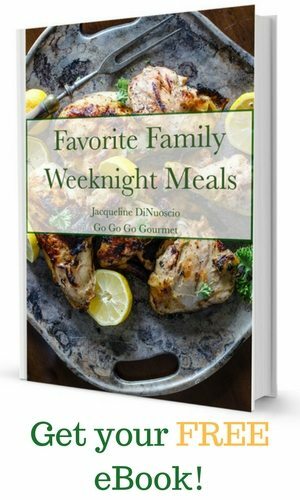 I was wrapping up the details for the Twelve Days of Christmas Giveaway the week before Thanksgiving, which was really just a half week since we were leaving for my parent’s house on Wednesday evening. The pans for the giveaway arrived Monday afternoon, so I knew there was virtually no way that I could manage to do two from-scratch cakes, baked, photographed and videos taken and edited in two days. Well, and keep my sanity. My biggest concern of this pan was alll the little ridges that make up the pine trees, I was SUPER concerned with the cake sticking. I do not have a good history with removing cakes from pans. However, I tried out the Homemade Pan Release from I am baker and it was a complete revelation. That stuff works. So you can see from the video above how this cake is done, and there really isn’t much to it. 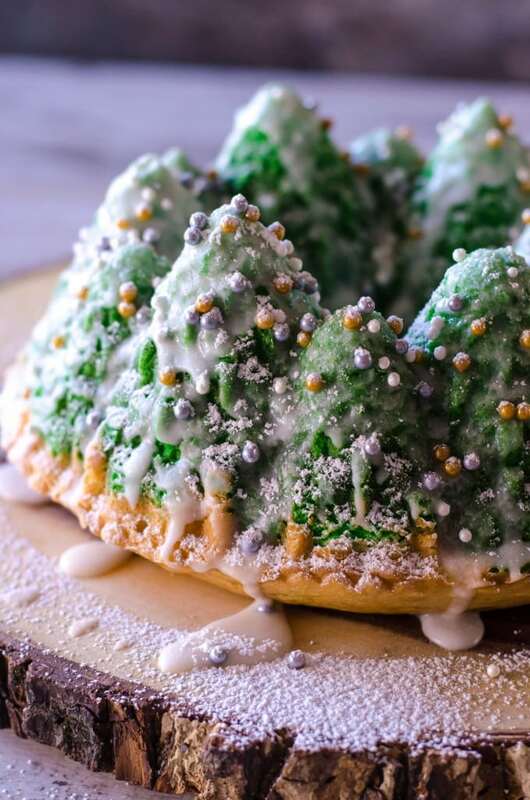 Prepare your mix according to directions, tint most of it green, pour it in the pan, spread the remaining batter over top, bake, brush glaze over and decorate with sprinkles. Bam. Done. And you’ll look like a freaking genius. Want to win this pan for yourself? It’s hosted over on my Facebook page! 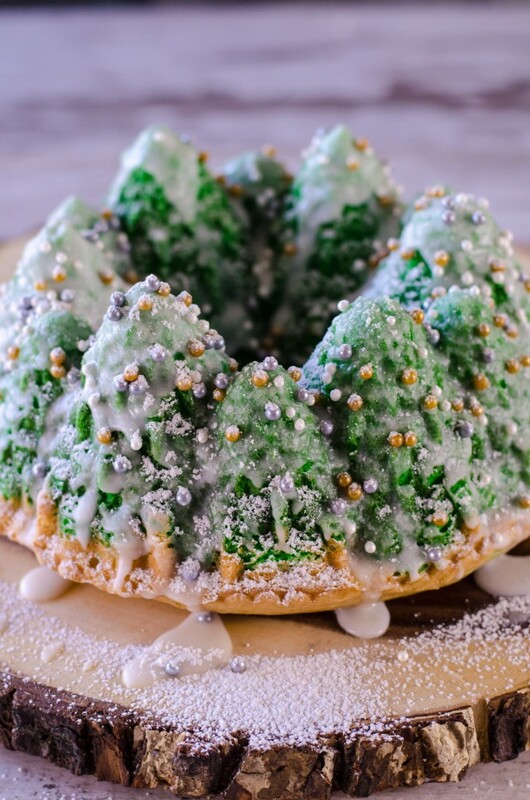 Bundt pan- This Nordic Ware Pine Forest Bundt Pan is perfect for making this cake! Sugar pearls- These Sugar Pearls, Gold & Sugar Pearls, Silver are great for decorating your cake! Cake spatula- This Spatula with 4.25 by .75-Inch Stainless Steel Blade, Plastic Handle, Dishwasher Safe is the perfect kitchen utensil for serving your cake! Basting brush- This Basting Brush, Black is great for spreading your icing all over your cake! Preheat oven to temperature indicated on box (325 F for me). Prepare cake batter according to package directions. Reserve approximately ½ cup of batter. Add food coloring to remaining batter and stir until the batter is evenly colored. Brush pan with pan release (or spray with a commercial baking release spray). Pour in the green batter. Tap the pan on the counter 3 or 4 times to release any air bubbles. Pour the reserved white batter over top and use an offset spatula to spread to the edges of the pan. Bake according to package directions. Let cake cool in pan for 10 minutes before turning out and allowing to cool on wire rack. Stir together the powdered sugar, butter, almond extract and milk to form a thin, slightly runny glaze. Pour a small amount over the tops of the trees and use a pastry brush to brush it over the sides. While the glaze is still wet, sprinkle with sugar pearls or sprinkles. Dust lightly with powdered sugar. 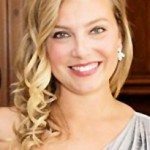 Previous Post: « 2016 Holiday Cooking Guide and a KNIFE GIVEAWAY! That pan is awesome! Looks like something to try for holiday.